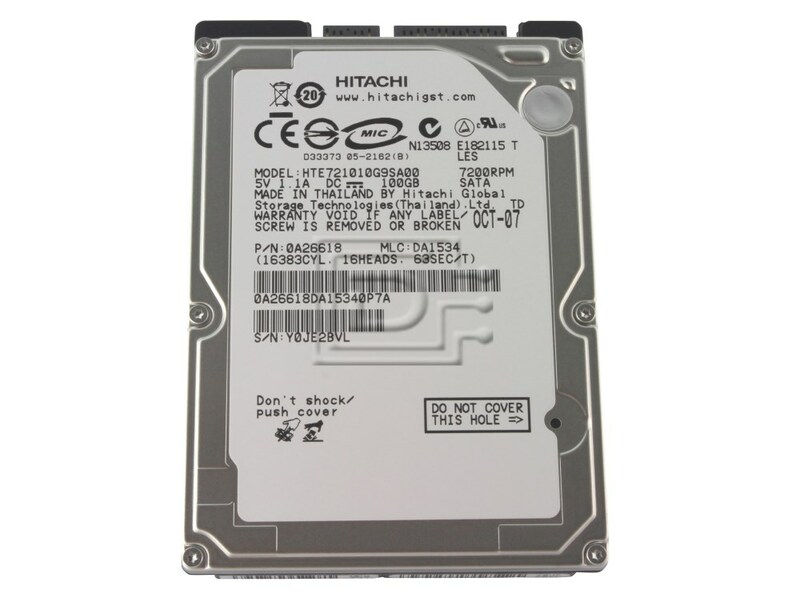 At 100GB, Hitachi offers the highest capacity 7200 RPM 2.5-inch product with unmatched performance in PCMark testing. Despite the higher spin speed, the E7K100 offers comparably low power consumption, heat emission and acoustics to its 5400 RPM counterparts, thereby helping system makers to support energy conservation initiatives without sacrificing performance. In addition, with its new higher shock specifications,Travelstar E7K100 is designed to address the needs for rugged, reliable storage in non-stop environments. Hitachi employs specific microcode to allow the Travelstar E7K100 to deliver 24 x 7 access to data. These models broaden the product line to make it more suitable for data intensive applications requiring round-the-clock operation. Travelstar E7K100 provides leadership capacity, performance, durability and power utilization on a proven platform for quality and reliability. The E7K100 can support the stringent demands of ”always-on” applications in lower transaction environments. This drive is compatible with all laptops that use SATA hard drives.